Since this was posted in early 2016 Spotify have both implemented an album mode and lowered their loudness target by 3dB. 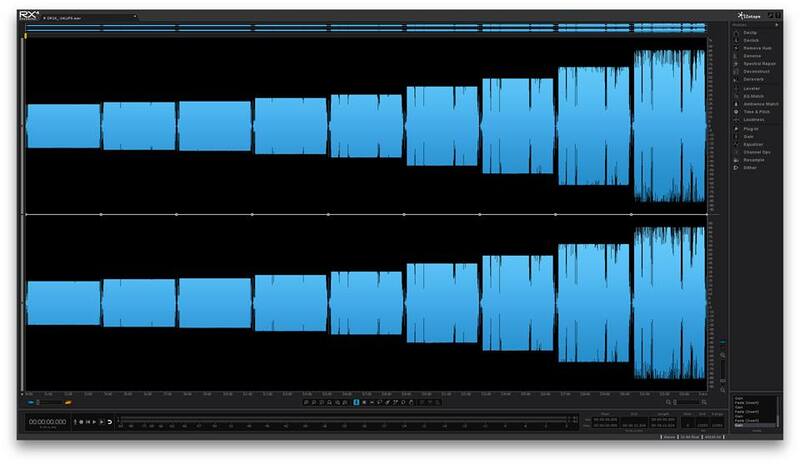 This is the first of a series of loudness experiments with two goals. First; we wanted to hear for our selves how different online platforms handle different loudness targets. Second; hopefully this will make it easier for anyone to understand loudness and if you produce music you’ll get a better idea of how your desired loudness target will affect your audio on current distribution platforms. This will enable you to make decisions based on knowledge rather than a perception of a loud vs. a dynamic master in a quick A/B comparison (where I would say about 90% choose the louder version whether or not it actually sounds better). Load all songs in a player that do not compensate for loudness. We recommend Foobar for Windows and VLC on OSX. Bonus: There’s level matched versions in the LUFS.rar archive so that you easy can hear how the loudness targets affected the sound. iTunes – Apple seem to have some problems with the release, we’ve contacted their support. We distributed the album to lots of common online stores but choose to link to the most interesting ones when it comes to loudness. 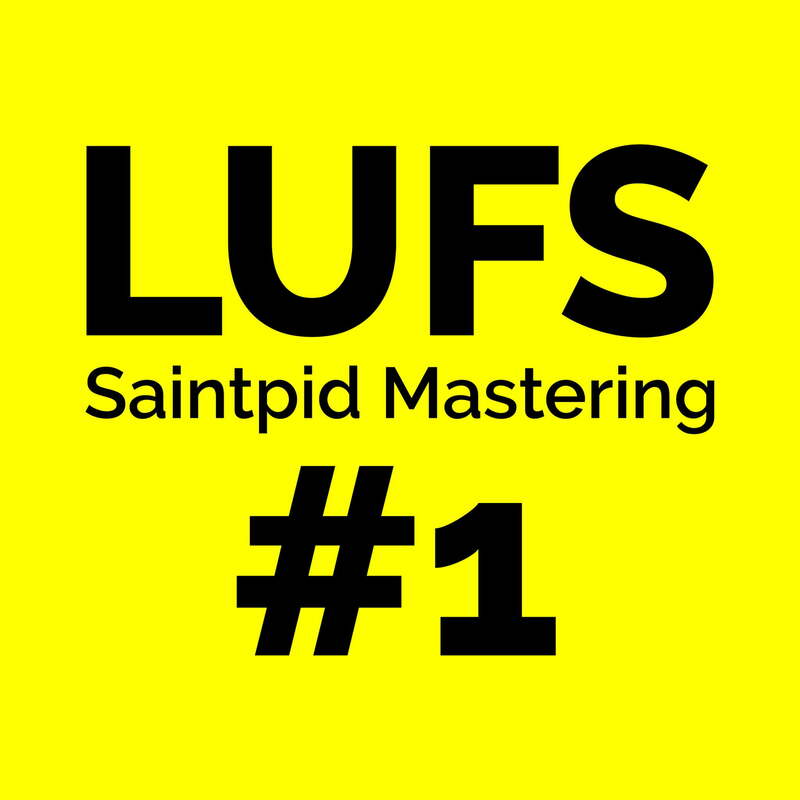 If you’re interested you easily find the album by searching for Saintpid or LUFS. We took one track (Truck Driver by Noisebud) and mastered it to 10 different loudness levels, all with the limiter set to -1dBFS. We named the tracks according to their dynamic range (DR) and loudness values (LUFS), and released them as one album with the 10 versions as is first, then with all versions level matched to make it easier to compare audio quality. The track in itself is pretty dirty (Noisebud call their music electronic punk) so this is no audiophile experience. That’s why we plan for this to be a series of releases, with styles ranging from pop to metal, singer songwriter to techno, and other electronic genres. We’re searching for material so if you want to contribute please contact us at info(at)saintpid.se. You get your song mastered for free but that’s the only compensation we can offer at this point. Here’s a Key-value report from the software Toscanalyser. The interesting values are the RMS average, RMS max, Peak max, Peak average, Sub Bass (SB%) and the K-system values (K12-20). The chart show some notable facts. The amount of low-end has almost been cut in half in the loudest version vs the most dynamic one (1.1% vs 2.0%). The last version that show an OK K12 value is the DR5 -8.6LUFS version. We should’ve stopped here if not before. The last version that gets a safe K12 value is the DR8 -12LUFS version. This is the version the artist (Noisebud) prefer. Thanks to Sigurdór Guðmundsson (http://skonrokkstudios.com/) and Ian Stewart (http://ianstewartmusic.us/) for ideas, consultation and trying to push the track to DR1 (which Sigurdór finally did but it’s not on the album). This is the first more thorough measurement. We did Spotify first because we needed the data for a meeting this Monday where SSES (Swedish Sound Engineers Society http://www.sses.org) and Spotify having a sit down to discuss loudness normalization. Or rather, we’re going to make a plan on how to discuss the issue in public during the LLB audio fair in Stockholm next month. Hopefully, we’ll manage to influence Spotify to bring down their loudness target to the AES recommended -16LUFS (http://www.aes.org/technical/documents/AESTD1004_1_15_10.pdf). Since this article were posted early 2016 Spotify has lowered their loudness target by 3dB and implemented an album mode. We leave the measurements here for historical reasons but strike everything that no longer apply. We measured the tracks in both “Album mode” and in “Playlist mode”. 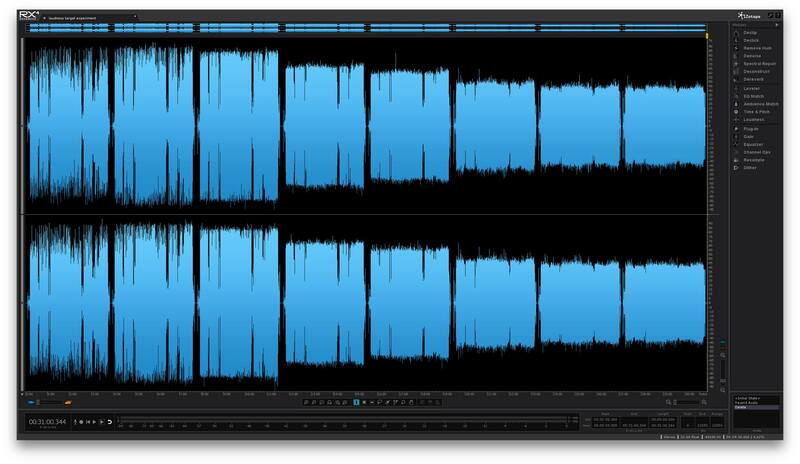 We did that because it makes sense to loudness normalize tracks from different releases in a playlist but if you play an album you would prefer the internal gain differences between tracks to be intact as the artist, producer or mastering engineer intended. To be fair, there are situations when you might want to loudness compensate within an album. For example in a noisy environment or listening on tiny tiny speakers, but the way to go would be an extra user setting specific for those situations. Sadly, Spotify currently adjusts the loudness independently even in album mode. Spotify doesn’t seem to take playback type into account, the internal gain structure of an album will be changed by Spotify in the same way as if the tracks were placed in a playlist. I know nothing! But I am learning. Thank you for your post. My mind is blown by your work. But looking through your excellent research I’m not sure if you have published the resulting statistics… Have you published the statistics sorted by the streaming provider? : Basically do you have measurements as to how each provider is treating the incoming audio and can you conclude what their target must be? Do you have that from your current research? If not I think there’s more statistical analysis to be done from your before and after samples. Many thanks for your hard work! Yes, we will do better and more methodical measurements (as soon time admits). And there’s a second release planned where the different loudness targets will be released as singles to avoid any album normalization. So, I’m just guessing, but according to the pictures above, the files were normalized to -12.9 LUFS in Youtube, unknown in iTunes, and -14.0 LUFS in Spotify? iTunes: -15 LUFS … bear in mind that Sound Check does NOT tolerate any peaks above -1 dBTP. So in essence we have PLR 14 (give or take). How the other platforms deal with peak information (true peak or sample peak) is still unknown as far as I know. This LUFS for Spotify is lower than I expected, I’m more used to it being closer to -11 LUFS. 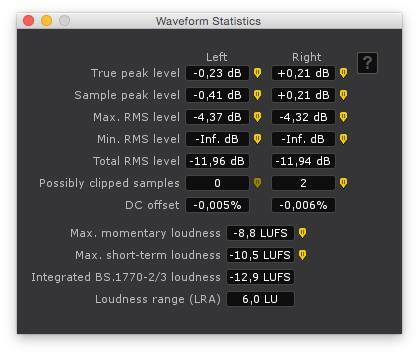 iTunes measurements have been in a range … where the true peak also plays a role in the volume adjustment (and therefor the final LUFS value), often around -16 LUFS. Interesting – great work ! I imagine the unexpected level found for Spotify reflects the way that ReplayGain works – in other words other songs with different frequency response would give different result. I think the loudness balanced part of the album skewed the results. The part that was not loudness matched was much closer to -11 LUFS (it was – 11,6 LUFS to be exact). Great work. Being able to measure the SB% (well all frequency ranges actually) is very interesting indeed. I had not come across Tonalyser before, will check it out. The ‘pictures say a thousand words’. Am I wrong, or does the Youtube picture have the album the opposite way round compared to Spotify and iTunes – quietest to loudest? Whoops – I just re-read the info above the Youtube picture, and yes it does go the opposite way round. Yes, upcoming test albums will have more consistency and the same order on every platform. I messed up while planning the test. Sorry. Very interesting article. The dropbox link is dead…Could the LUFS.rar file please be re-uploaded? I would like to listen and measure the tracks for myself. Turns out the English version of the site showed an outdated version of the post and had the wrong link, it’s been moved to Google drive a couple of months ago. It should be the right link now, thanks for letting us know!